We are having a holiday bake sale at work, so I decided to bake something festive. 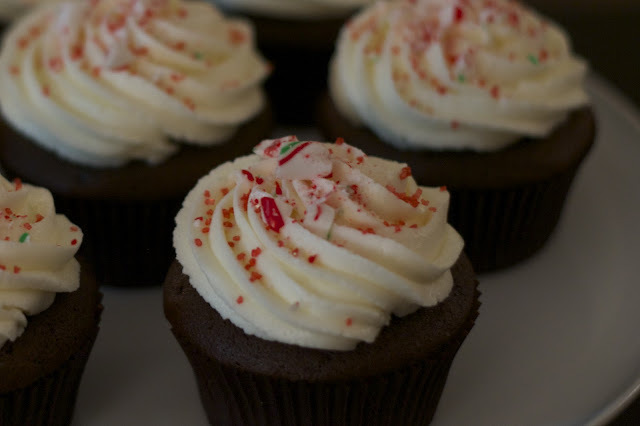 Enter chocolate cupcakes with peppermint frosting topped with crushed candy canes. The chocolate cupcake is devils food chocolate. 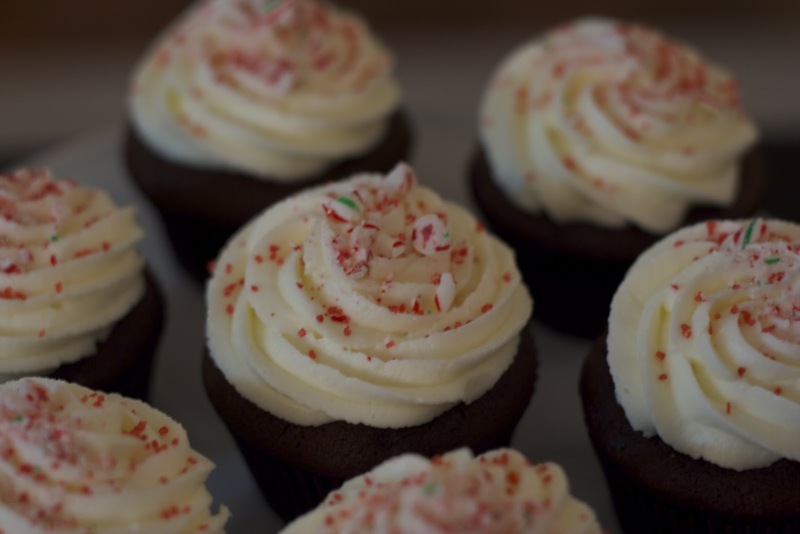 For the frosting I used peppermint extract with little bit of vanilla as well. I piped the swirl using a large french star tip. The crushed candy cane was a little bit of an expedition. Note to self - not all peppermint candy canes are created equally. Paired with the peppermint icing, the first candy canes I bought did not end up tasting like mint. This necessitated a last minute trip to the store to buy better quality candy canes. I beat the candy canes into crushed submission by placing them in a ziplock bag covered by a tea towel and smacking them with my heavy duty All-Clad 1 cup measure. My husband felt that this was both too loud (we live in a condo) and ineffective. He crushed them by rolling a glass mason jar over them. In retrospect, I should have pulsed them in my mini food processor. I will keep this in mind for next time! Coming up next, modelling paste figurines!